Amazing Talking Doll for Kids that talks, develop skills and answers questions! 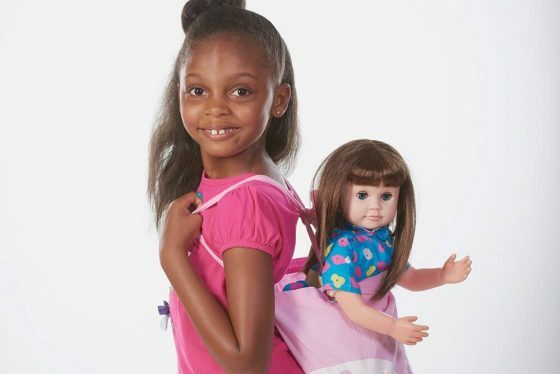 Ask Amy™ is so much more than an adorable, articulating 22-inch doll for kids. Her life-like moving lips, blinking eyes, head movements, and interactive discussion will amaze children and develop kids skills. Encouraging emotional and language development, Ask Amy™ responds to 12 verbal prompts to answer questions, provide words of inspiration, and motivates children to sing along or recite a variety of poems. She also loves to cuddle and can sit upright in a chair, on the bed, in the car, etc. Ask Amy™ requires 6-AA batteries (not included) and features an on/off switch on her back to conserve battery-life. A doll that talks, develop skills and answers questions! We have gotten used to the amazement of people’s faces when they first see Ask Amy™. Her lips move so naturally as she speaks, and she turns her head and blinks her eyes just like a real little girl! 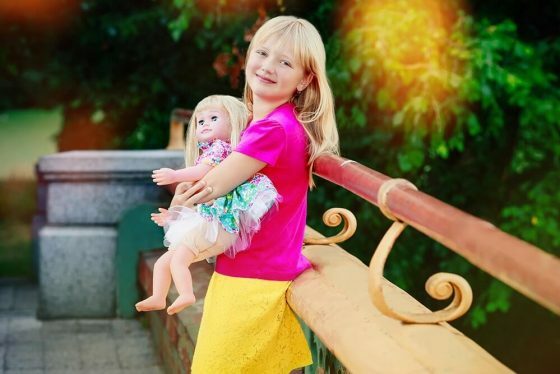 Our vision was to create a high-quality doll second-to- none that girls would want on first sight — a doll with fun clothes and accessories to mix- and-match. At the same time, our goal was to create a truly interactive interactive doll that helps kids learn and develop skills. • Hello! • Where are you from? • Tell me a story • Sing me a song • Are you a fashion girl? • Do you have pets? • Do you like school? • I love you • Yes • No • Good-bye! Ask Amy™ recites the alphabet and can help your child to develop language skills in a delightful way. Self-learning is one of the strongest skills a child can develop. It not only creates confidence and self-esteem, it will help them become independent thinkers. As Ask Amy™ interacts and engage the child, she can help a child strengthen their speech and develop language skills, emotional interaction, and become more comfortable engaging with other people. A doll that talks, develop skills and answers questions! We have gotten used to the amazement of people's faces when they first see Ask Amy™. At the same time, our goal was to create a truly interactive doll that helps kids learn and develop skills. It was a gift everyone likes it. My five years old daughter loves the doll and calls it sister. She is learning a lot songs, stories etc from the doll. My name is Sofia Mirvis. I purchased Ask Any 22" talking Interactive Singing Doll for my grandaughter ( age 5). I cannot begin to tell you how happy she was. She doesn' let her off her hands. This gorgeous doll worths each penny .I highly recommend to purchase one for girls. This magic toy is not only pretty but very educational. Ask Amy talks,sings,tells poems and stories. Treat your little girls with this magic toy. Your grandaughter wil lbe grateful you forever. Very high-quality doll that is very fun to play with. My daughter loves it very much. It responds to certain questions, sings, reads poems. Very interesting product and I highly recommend it. WOW, WAS THAT A GOOD HUNCH! Usually my wife buys dolls for Brooke (our daughter), but this time the task fell to me. I didn’t feel like going to the store so I Googled interesting toys for a five year old. Some some of the usual but then Ask Amy got my attention. Yes, I’m a tech geek, so the interactive part seemed cool. Wow, was that a good hunch! Brooke loves it and I got the ‘best daddy ever’ honors. And I gotta say, the interactivity is awesome. Hours and hours of fun, my two daughters each got Ask Amy and do sing alongs. I’m very impressed. I researched dolls that talk and not one came even close. I SERIOUSLY CRIED FROM HAPPINESS! I seriously cried from happiness when I heard the same lullaby I grew up with. And to see how happy Jessica is playing with it. Wonderful toy. 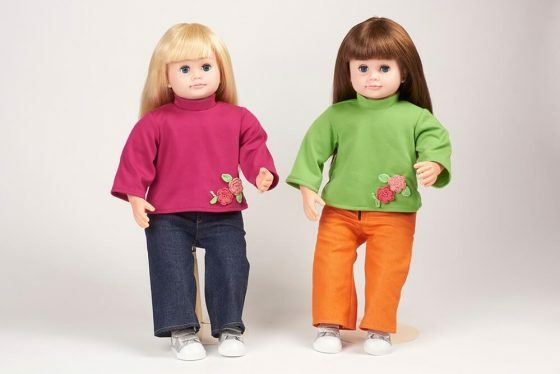 When you were little and played with your dolls, did you ever wish they could talk back and respond to you? Now they can! A new doll allows children’s imaginations come alive with the doll’s traditional pretend play mixed with technology. Amy is a doll that kids can not only talk to, but it responds talks back and answers questions. Ask Amy is one of the hottest gifts for little girls this season. 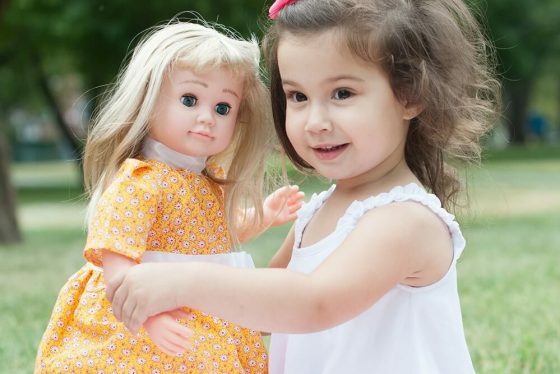 She is an adorable interactive doll that not only talks but asks questions too! Sure technology and is great and toys are leaps and bounds ahead of where they were when we were kids, but nothing quite takes the place of a little girls favorite doll — especially one that talks! My daughter was quite impressed with the Ask Amy doll. The Ask Amy doll talks and answers questions. Her lips move naturally as she speaks, and she turns her head and blinks her eyes just like a real little girl. It is amazing how realistic this doll can be. Can be a little girls best friend. We all wanted our dolls to talk to us, right? I know I pretended with my dolls. This is so exciting that our children can experience this amazing technology in toys. She’s truly an amazing little doll and she’s a real pleasure to play with. When you ask Amy questions, she answers them. She can do all sorts of awesome things like provide encouragement, tell short stories, and actually engage a child in conversation. Awesome, right? She also does fun little tongue twisters that’ll keep your little one entertained for hours. And when she’s sleepy, she’ll go right to sleep. 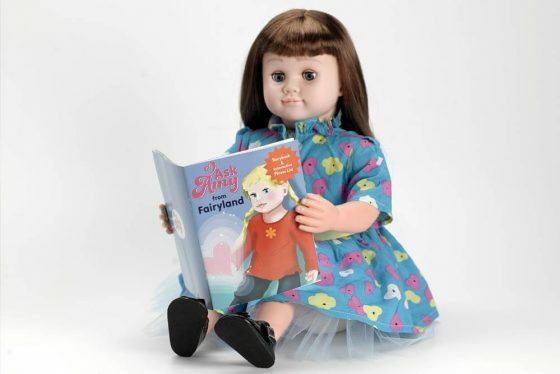 Ask Amy™, your child’s new favorite talking doll can virtually come alive to tell stories, sing songs, develop skills, provide encouragement, and engage a child in conversation with voice recognition and realistic facial expressions and head movements! We believe that Ask Amy™ is a particularly beneficial doll for children from bilingual homes or non-English speaking homes, since she helps encourage English-language skills that they might not be getting at the preschool level. This is part of the reason why we were inspired to produce this English-speaking doll.